April 9. 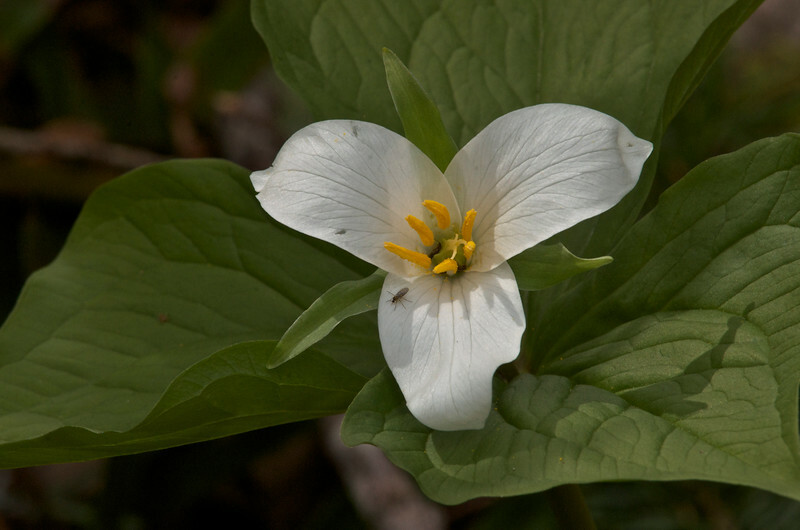 This photo of Trillium ovatum was taken on Squak Mountain yesterday in the Seattle area. A member of the lily family it is always an attractive sight in the more shaded areas of the forest. Has an unusual seed dispersal strategy: ants are attracted to an oily sack on the seeds and carry them away from the flower. The seeds remain intact after the oil sack is consumed.